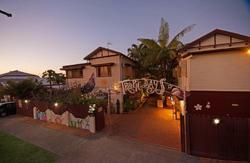 The Jack Backpackers is a newly refurbished pub-style backpacker accommodation. The Jack offers all guests free WiFi as well as free good quality evening meals! Please note that if you are a late check-in after 9pm, please call The Jack Reception to arrange a late check-in. Please also note that The Jack Backpackers only accepts booking with a valid international passport and credit card will be required upon check-in. 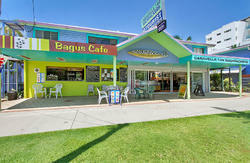 The Jack Backpackers is unsuitable for persons under the age of 18. Bookings made by any guests under the age of 18 will not be confirmed. We do not accept large group bookings, unless a group booking has been authorized. And you will be dropped at the Jack Backpackers doorstep.